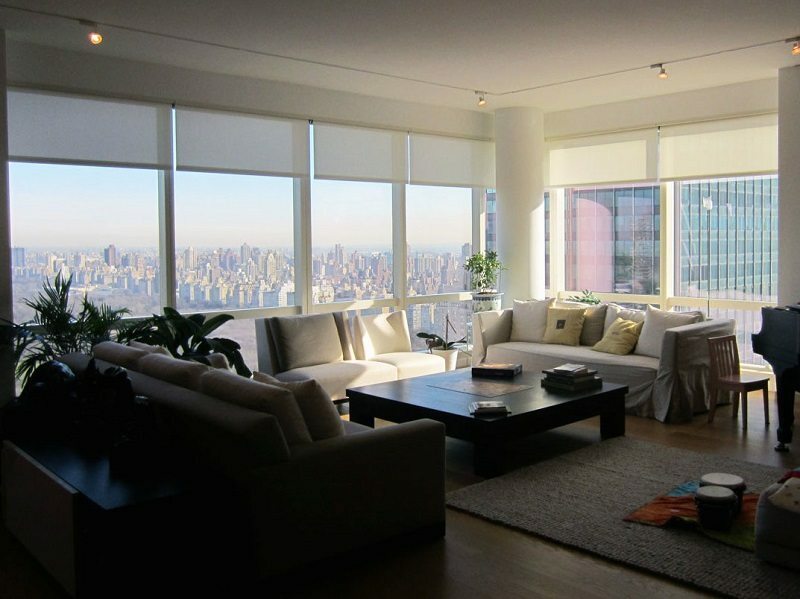 Central Park South, one of New York City’s most luxurious neighborhoods with spectacular views! Automated Screen Shades for the common areas and of course we obliged. SW fabric and curtains made with Kravet curtain fabric, all matched with SOMFY motors and hardware.